Let your aches and pains melt away with our professional massage therapy. Acute pain relief and targeted chronic pain management through orthopedic massage, neuromuscular therapy, myofascial release, muscle energy and positional release techniques, and trigger point work are integrated during sessions. This personalized massage is designed to meet each client's unique needs. Relax, reduce stress and relieve pain as our expert massage therapists use an assortment of aromatherapy, warm stone/bamboo therapy, heated towels and flax seed packs. A combination of classic Swedish relaxation massage, deep tissue, pressure, craniosacral work, trigger point, myofascial release, reflexology and specialized healing techniques will be used to achieve the ultimate health and wellness benefits. Stretching may also be included in your session as a muscle therapy. Feel great from head to toe! Please specify if you are having trouble with your sinuses for our inhalation blend the Cincinnati Sinus Special Blend. If you wish to combine techniques such as Myofascial, Cranio-Sacral or Reflexology consider calling to book your appointment to ensure your needs are met. If you have a special request/allergies to topical products and wish to book online consider writing a detailed message in the notes to your therapist. If you are pregnant please ONLY book prenatal massage services. Thanks! Deep muscle massage services employ greater pressure and work along specific muscular zones to relieve deep "knots " and tension that has built up in your body. This form of massage can also facilitate muscle repair and improve circulation. Deep tissue massage is recommended for individuals who have received massage therapies previously and desire a deeper and more intense massage. It is common for soreness post massage and bruising is not uncommon. Keep in mind deep pressure (physical force) and deep tissue (deeper muscle layers) are not the same thing. We can access deep layers often with slow and steady pressure to achieve the results you desire. This specialized pre-natal massage service is provided to help mothers-to-be with the aches and pains that accompany pregnancy. Sore feet, stress, back pain, and other symptoms can be positively influenced through massage and reflexology. Our trained therapists have the knowledge and a special side lying cushion system equipment to provide a safe and effective massage for expecting women. Pregnancy Massage can be given to any pregnant woman during the full duration of her pregnancy; high risk pregnancies are not advised to have this service without prior physician consultation. Please let us know how far along you are in your pregnancy stage (in the booking notes) to tailor our pillow bolstering to suit your wishes and to provide the most relaxing and comfortable massage we can! In Ohio, a physician referral (MD, DO, Dentist, Chiropractor, PT) will allow you to use HSA and FSA for payment and to avoid paying tax. Medical Massage Therapy is a more clinical approach to reducing pain and inflammation. The goals include increasing function and range of motion. Services can help increase mobility and decrease recovery times from injuries or strains to your muscles. Techniques are typically combined to achieve the maximum result for pain reduction. Your therapist will use Swedish, Deep Tissue, Myofascial release, Connective tissue, Neuromuscular Therapy, Positional Release, Muscle Energy Techniques as well as stretching to achieve lasting results. Call to find out about our therapeutic programs and develop a customized plan for better muscle function and decreased pain. Please keep in mind regardless of pressure, certain techniques can cause post massage soreness. It is very common in the healing process to experience short term post massage discomfort. Myofascial Release is a safe and very effective hands-on technique that involves applying gentle sustained pressure into the Myofascial connective tissue restrictions to eliminate pain and restore motion. The Therapy is performed directly on skin with minimal oils, cream; but sometimes uses water or scraping with an instrument. This enables the therapist to accurately detect fascial restrictions and apply the appropriate amount of sustained pressure to facilitate release of the fascia. Often specific holds on limbs are used to allow for a complete release This technique can be applied in combination with The Mantra Customized Wellness Massage. Please confirm with therapist. Prescription stating TMJ Dysfunction from a Physician, MD or DO, Physical Therapist, Nurse Practitioner, Dentist or Chiropractor required for intra oral (inside the mouth) work. This is also performed under our scope of practice with gloves when working inside the mouth. Can use HSA and FSA and no tax with a referral/ prescription. This therapeutic massage includes the muscles of the head, neck, shoulders and the inside of the mouth. People who tend to clench and grind their teeth may have TMJ (Tempro- Mandibular Joint) Dysfunction. The goal of this service is to reduce jaw and facial muscle soreness and to decrease headaches by releasing trigger points (tight muscles) located on the face, mouth and neck. This massage addresses jaw restrictions and deviations as well. The client may also receive neuromuscular therapy, trigger point therapy,craniosacral therapy, myofascial work as well as standard massage techniques to address TMJ pain and the host of symptoms it can present with. Often results can be seen in a short amount of time to reduce the discomfort one might be experiencing. The world's deepest most luxurious massage! The therapist uses gliding strokes and deep pressure with his/her feet while using overhead hanging bars to for stability. A unique experience in massage therapy. Your therapist will go over contraindications for your safety. This a fully clothed session that is a short length of time and can be combined with a Customized or Therapeutic Massage. Rossiter (officially known as The Rossiter System®) is a powerful form of two-person stretching that loosens tightened connective tissue to restore your body's neutral position. When neutrality is achieved pain and restricted movement are decreased. In Rossiter, you are an active participant in your recovery to stretch tight connective tissue. Your commitment to your body through your effort will produce amazing results. Your Certified Rossiter Coach will encourage you to achieve your goal. Rossiter Sessions aid in recovery, maintenance, flexibility, mobility and injury prevention. Care Package Series Buy Multiple Massages or Reiki and Save! $90 an hour per therapist, 2 hour minimum. Travel charge may apply. Please call to schedule corporate events such as employee appreciation days, wellness events or health fairs. Chair massage as well as other types of massage (Reflexology, Thai Yoga, etc. ) are available. 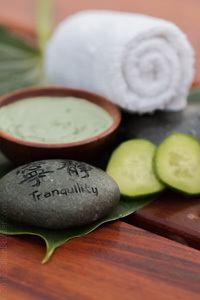 Mantra Massage and BodywoRx is please to provide out call and concierge service to local hotels. Our Premier Spa Parties are a unique opportunity to get your friends, girlfriends, family, co-workers and bridal party/bachelorette party together. At our location or yours, we will help you plan the perfect event. Call for event planning and pricing.